With today being May 1 (can you believe it?) the end of the school year is just around the corner. 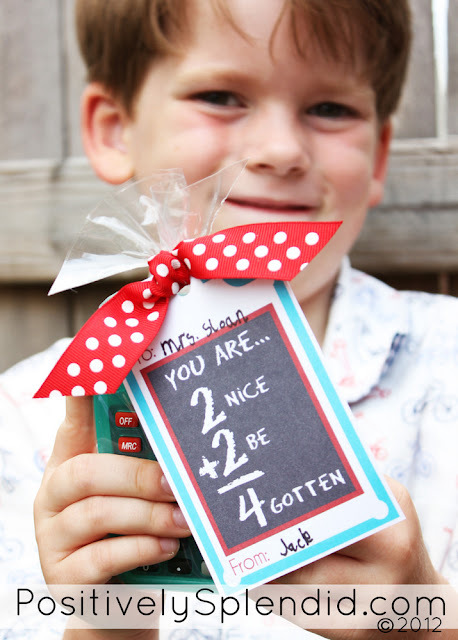 With teacher appreciation gifts, and gifts for coaches, piano teachers and more, situations requiring a meaningful, thoughtful gift are never in short supply this time of year! 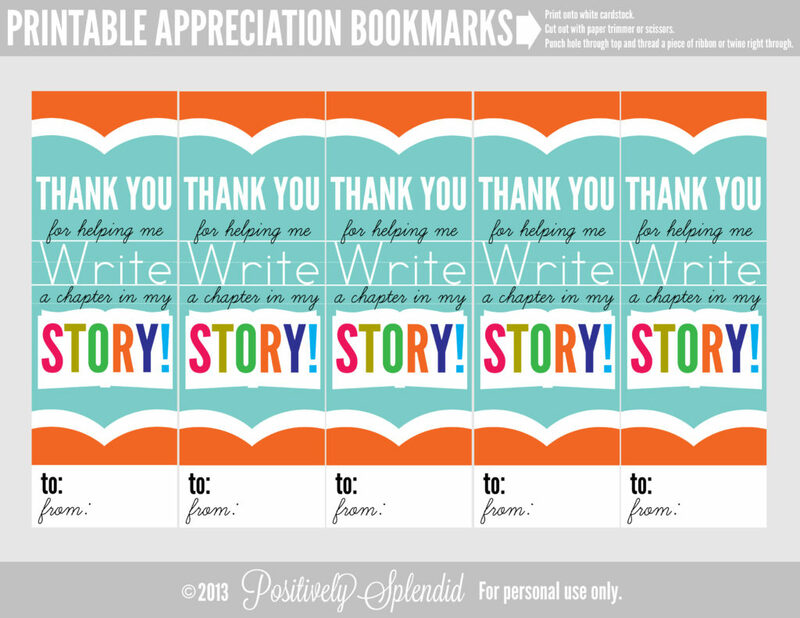 Today I am sharing a fun set of printable bookmarks that will allow you to wrap up a number of gifts for the special people in your child’s life. These are such a great way of saying thank you for all of the lessons taught over the course of a school year, be it in the classroom, on the field, or somewhere else entirely! 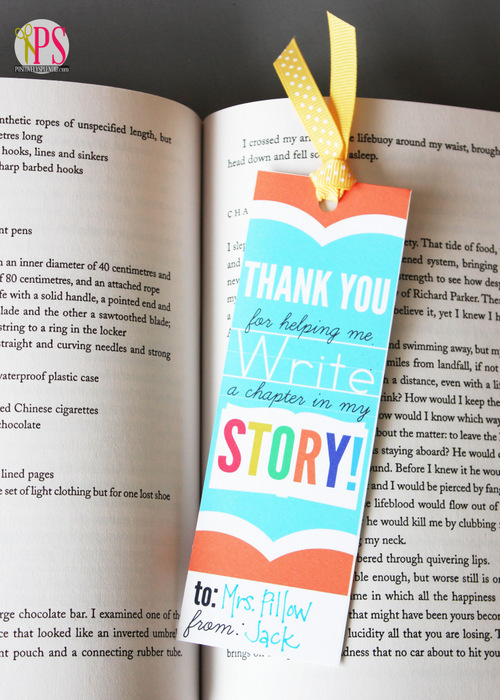 Simply by printing the bookmarks onto cardstock, cutting each out with a paper trimmer or a pair of scissors, and tucking one into a favorite book for each of the recipients on your list, you can give a gift that goes beyond a standard gift card. Either leave the bookmarks as-is for a super simple option, or punch them up a bit with a piece of ribbon tied through the top. (To see details for how to add the ribbon, check out my Valentine Bookmarks from earlier this year.) You can also laminate them to make them more durable. 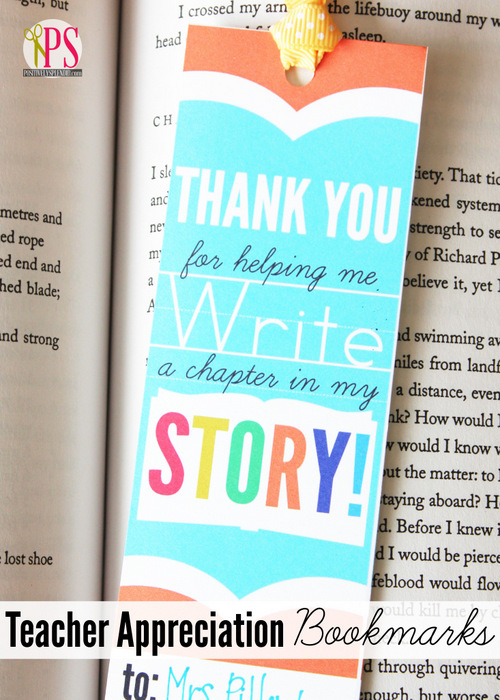 I plan to have my children each select a favorite book they read during the school year to donate to their class at school’s end, along with a copy of this bookmark for their teacher. 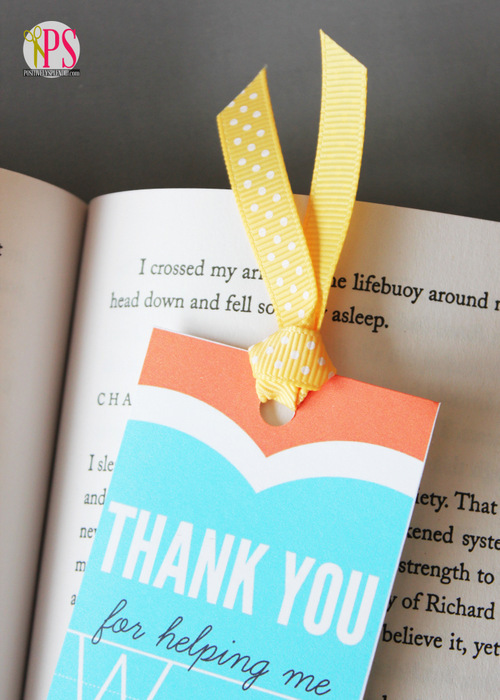 What a great way to encourage a lasting legacy of reading, and also to help teachers build their classroom libraries! Download your free copy of the bookmarks either by clicking this link, or by clicking the image below. Previous Post: « Summer Giveaway Series – Part 2!! Thank you!!!! 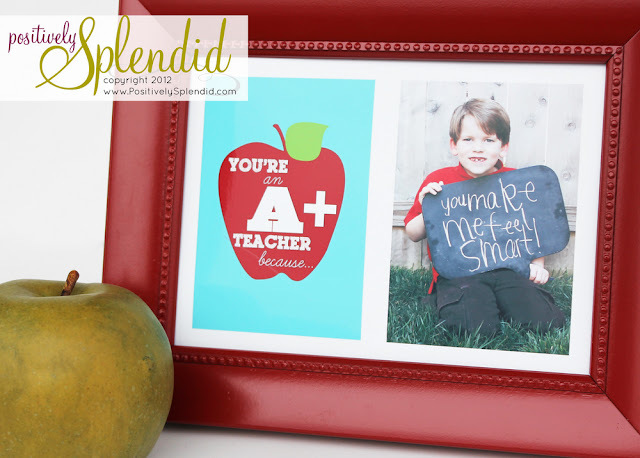 These were just what I needed to go in our gift to my children’s teachers and they are adorable!!!!! They went in a basket with books for the class, and a bookstore gift card for the teacher. We added a personal touch by adding my kids’ pictures on the back along with a short list of some favorite books they read with their teacher this year. You are so welcome, Jennifer! So smart to include the photo and book list, too!